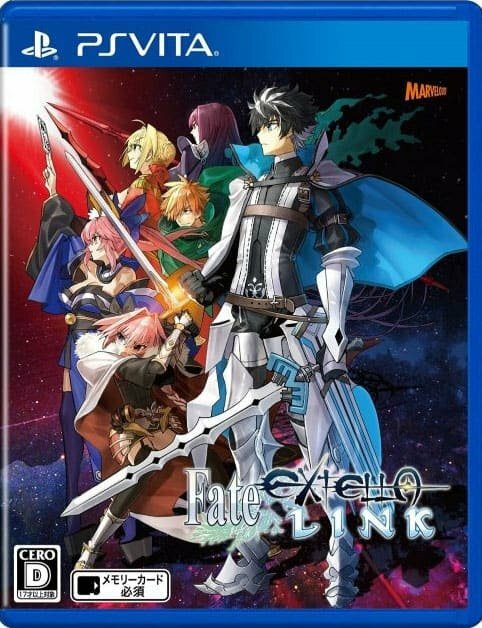 Fate/Extella Link is a clear cut improvement over its predecessor, Fate/Extella: The Umbral Star. Of course, I found the latter to be a disappointment, as it featured an over-written story, bland visuals, and gameplay that failed to match even the average heights of the Musou style of games. 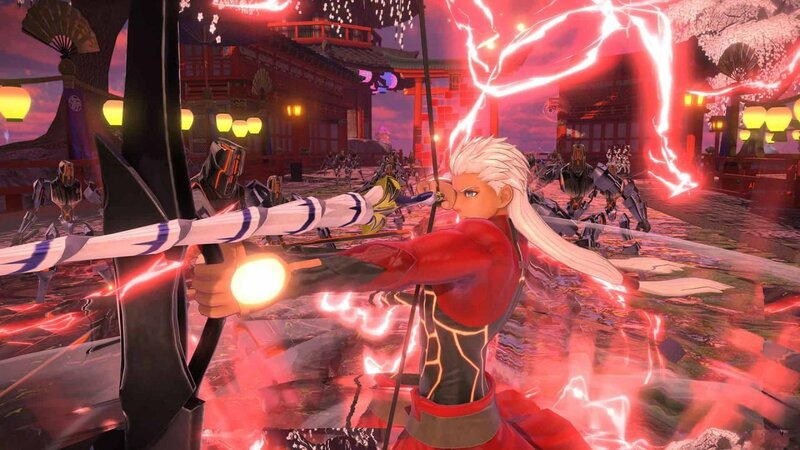 It’s not as if any sequel would have had an unusually high bar to overcome, but Fate/Extella Link shows clear improvements across nearly every area. It may not be comparable to the best Dynasty Warriors spin-offs, but it’s certain to satisfy fans of Fate. 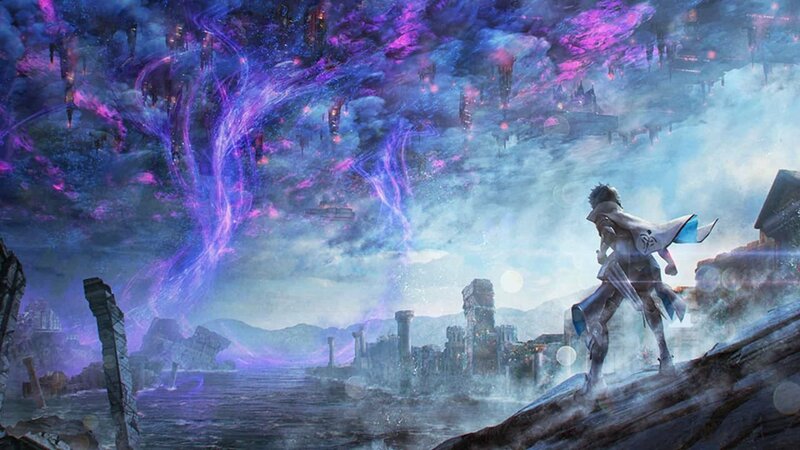 Fate/Extella Link is a sequel to a sequel, and one would be safe in assuming that it would carry plenty of baggage as a result. And while it is incomprehensible at times, even with the assistance of a glossary filled with proper nouns that explain crucial characters and concepts, the story is surprisingly straightforward. Set in a digital world where humans live alongside A.I.’s, including reincarnations of historical and mythological figures called Heroic Spirits, the story follows a war between the inhabitants of the cyberspace and a new invader who has the ability to brainwash servants to fight for him. With the help of a new servant named Charlemagne, you begin to fight back against the invader’s and try to save the digital world before it becomes completely corrupted. It takes less than five minutes of play before the conflict is set up, and Fate/Extella Link wastes no time in advancing the plot. Conversation is brief and lacking in exposition, and key plot points are conveyed quickly and at a steady pace. Though the story branches, it is focused, and it doesn’t take long to see all of the events in the campaign. While I welcome the brevity of this, especially in comparison to Umbral Star, it also means that outside of Charlemagne, the rest of the cast has little time to flesh out their personalities. Though the two dozen or so playable characters have additional dialogue inside the base and in side missions, their involvement in the main plot is more often than not a glorified cameo. Fortunately, those characters are far more interesting once you actually play as them. 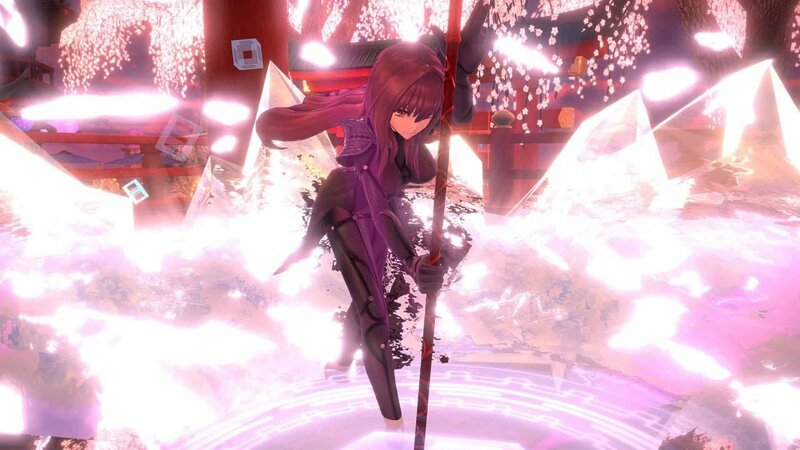 Anyone who has played a Dynasty Warriors game knows how Fate/Extella Link works; you roam a map cutting through thousands of enemies, accomplishing objectives, before defeating a boss character or two to cap off each level. Though the formula has stayed the same for some time, and can often get tiresome quickly if the missions aren’t unusually diverse, which is sometimes the case here. But to its credit, Fate/Extella Link feels far faster than Umbral Star ever did. The use of Active Skills, which are powerful abilities on short cooldowns, makes creating creative and big combos engaging, more so than just mashing the attack buttons. Coupled with Instant Skills, which are upgradeable passive abilities that you can swap in and out to customize your character further, and you can actually get a pretty interesting gameplay loop going that is a notch above the baseline for this genre. While the gameplay is an improvement over Umbral Star, the visuals are a more mixed bag. The animations for every character, particularly when they use their skills or their ultimate Noble Phantasm attacks, is gorgeous and is very lovingly crafted. Yet, The environments, while receiving upgrades in colour and lighting, are just as dull as they were in 2016, featuring similar layouts, designs, and appearances that do little to differentiate one map from the next. In between battles you’ll spend much of your time in your flying base, where you can upgrade your characters, forge new gear, and talk to every character who has joined your cause. It is here that you can choose small goals to accomplish which will raise your bond with a servant. The greater the bond, the more items, skins, and conversations you’ll unlock. And while the bits of dialogue are not worth the trouble, the various abilities and other unlockables you can acquire make it worth paying attention to. This isn’t a particularly compelling aspect to Fate/Extella Link, but it does the job when it comes to making you at least somewhat invested in how your servants develop. Outside of the campaign, you can play extra battles that both serve to level up servants and as a means to unlock new costumes for use elsewhere. Some of the missions here are pretty challenging in design, and require a degree of strategy that can’t be found in the main campaign, which make them worth trying at least once. There’s also a four versus four multiplayer mode, where you try to hold onto a set area for as long as possible. Unfortunately, it’s not particularly well balanced or fun to play due to how unsuited the mechanics are for fighting human opponents, and I wasn’t interested in playing more than a handful of matches before going back to the more robust single player components. Fate/Extella Link manages to be more than just another run-of-the-mill spin-off to Dynasty Warriors. It’s unique aesthetic, coupled with the minor changes to gameplay to create a faster-paced title, make it stand out from both its predecessor and some of its contemporaries. That doesn’t mean it’s not tedious at times, nor does it excuse the rather bland environments or missteps in its story. But it is enough to make it a game that feels good to play, which is something that any Fate fan can appreciate.